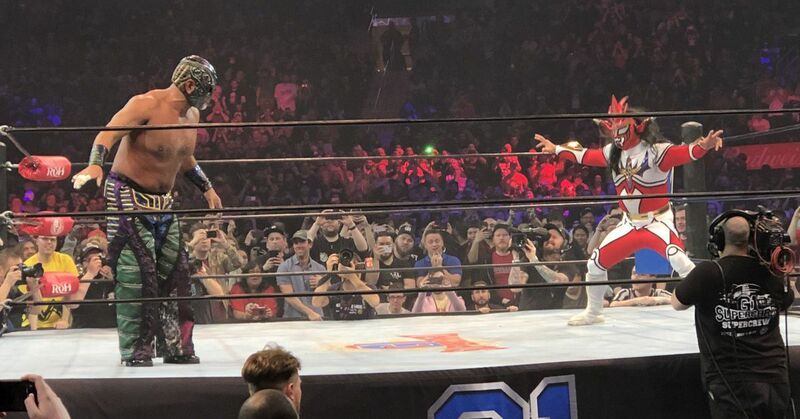 Like any self-inflicted pay-per-view (PPV) event these days, New Japan and Ring of Honors show G1 Supercard on Saturday, April 6, a free internet streaming pre-show. They went with a sharp fight for the sold Madison Square Garden, a Rumble-style battle royal, highlighting a mix of stars and legends. In the fight, most people were focused on an advertised advertiser. Jushin Liger made his MSG debut shortly after announcing that he would retire at next year's Tokyo Dome shows. After three decades of renewing and influencing the business and art form, the biggest junior heavyweight of all time would hang up the boots. One of the three musketeers of NJPW, The Great Muta was the surprise 30. participant! And after wiping out the Kingdom of TK O & # 39; Ryan and TK O & # 39; Ryan & Vinny Marseglia, the crowd was on fire for one of these legends to win the battle. So I bet you're on the edge of your seat … what happened? turns out that Kenny King had not been eliminated, slipped in and won the case for what would be a great hot moment that fell right flat. The veterans joined their party soon after, and Muta left Liger to soak up the fans' appreciation. But it was not a big booking decision. Follow all actions from the G1 Supercard in our live blog here .